Coming up… Frasquita at the Ford! Katherine is delighted to partner once again with long-time collaborators Pacific Opera Project for their flagship production of Carmen at the Ford Amphitheater on September 1st, 2018. Katherine will be singing the role of Frasquita in this audience favorite. The performance will be music directed by her husband, conductor Michael Christ Powers. Katherine is thrilled to join Maestro Conlon and LA Opera again for their annual Cathedral Project at the famous Cathedral of our Lady of the Angels in downtown Los Angeles. Professional singers and musicians from LA Opera will collaborate with more than 400 members of the Los Angeles community to present the world premiere of Jonah and the Whale, a new opera for audiences of all ages by composer Jack Perla and librettist Velina Hasu Houston. Following in the tradition of previous Cathedral Project productions, Jonah and the Whale will feature professional opera singers in the leading roles and members of the LA Opera Orchestra, performing along with a large group of community-based performers drawn from schools, churches, choirs and orchestras from every part of Los Angeles. Performances of Jonah and the Whale will take place at The Cathedral of our Lady of the Angels, 555 West Temple Street, Los Angeles, CA 90012. For more information or to purchase tickets, please visit the LA Opera Website. Katherine will be featured in a recital of opera favorites with friends and LA Opera colleagues Ashley Faatoalia and Charlie Kim at The Taste of Italy event on Saturday October 14th, 2017. The event features some of the best Italian food and wine in Los Angeles and will run from 5pm -10pm. The recital presentation will take place at 6:45 pm in the kiosko (gazebo) on the plaza. Tickets are available online. Click here for more information. Katherine will sing the role of Antonina in the world premier of Three Panderewskis, with book by Oliver Mayer and music by Jenni Brandon. Ignacy Jan Paderewski was a Polish pianist and composer, politician and spokesman for Polish independence. This musical/opera hybrid is one of nine finalists in a competition for a treatment of a musical play based on Panderewski’s life. More information about the competition can be found here. Katherine is delighted to join the Azuza Pacific University Symphony Orchestra and Choir as the soprano soloist for Handel’s beloved Messiah. Katherine is thrilled to reprise her role as Musetta for the third time in Pacific Opera Project’s brand-defining production of La Bohème AKA: The Hipsters. Set in modern-day Highland Park with cleverly ironic supertitles, this production features table seating with food and wine and promises to be a raucous good time. Tickets sell out fast so please reserve early. For more information click here. Katherine is thrilled to join the administration of the new California School of the Arts – San Gabriel Valley as the Director of the Vocal Arts Conservatory. Based on the innovative and award-winning curriculum of the Orange County School of the Arts (OCSA), CSArts-SGV is a satellite school that offers the same high caliber academic and arts education. Opening its doors in August 2017, CSArts-SGV is a public charter school that provides a creative, challenging, and nurturing environment, offering bright and talented students from grades 7 through 12 a rigorous college-preparatory academic program and pre-professional arts conservatory training. The Vocal Arts Conservatory offers bright young artists who are passionate about expressing themselves with their voice a comprehensive course of study through engaging performance-based classes, pre-professional programming, and rigorous musical training. Our vision is to champion the next generation of thoughtful, expressive, and collaborative vocal artists across multiple musical genres who are passionate advocates for their art form. For more information about CSArts-SGV, please visit their website. Katherine Giaquinto and Michael Powers were married on December 3rd, 2016 at Orcutt Ranch, surrounded by friends and family. They are thrilled to begin their lives together as partners in life and music! Katherine is delighted to join LBO’s Education Artists for the 2016/2017 season! This talented group of artists will be working together to bring opera performances to students all over the SoCal area. Katherine is going for the hat trick this month, with three projects running concurrently. First is the world-premier of Opera à la Carte’s new Gilbert and Sullivan review, Hail Poetry!, presented at the gorgeous Soka Performing Arts Center in Alisa Viejo. Hail Poetry! bursts with the topsy turvy plots and exquisite musicality that makes the Gilbert and Sullivan world so delightfully rich. The show is fast paced, complex, and intriguing – an immersive experience that revels in the wit of Gilbert’s stories and the beauty of Sullivan’s music, while exploring some of the bigger questions of art and life. Next, Katherine will reprise the North American premier performance of three songs by Pàl Hermann, which she performed last April for James Conlon’s Recovered Voices Project. Katherine will perform the three songs with pianist Tali Tadmor for the unSUNg Summer Concert Series. unSUNg is the summer concert series from Lauri’s List, bringing you new and neglected vocal chamber music while providing performance and live recording opportunities for professional classical singers, instrumentalists and composers. Katherine will be performing on Sunday July 10 at 4 pm, at St. Mark’s Episcopal Church in Glendale. Please click here for tickets. Last but not least! – Katherine will rejoin her colleagues at LA Opera Outreach for a free community recital at City of Hope in Duarte, on Tuesday July 12 at 12 pm. This Summertime concert will feature gems from Gershwin, Weil, and the American Songbook. Please RSVP to City of Hope at eventsdept@coh.org or call 800.333.6002. Katherine is thrilled to announce that she and Michael Christ Powers have recently become engaged! Michael is a conductor who works and teaches in the Los Angeles area, and is currently a finalist in the position of Music Director for the New Valley Symphony. Michael and Katherine met at an Opera on Tap performance in May, 2015, and teamed up for their first musical collaboration in November, 2015, performing Golijov’s Three Songs for Soprano and Orchestra with the USC Concert Orchestra. They are looking forward to a long life of making joyful music together! Katherine is thrilled to join Maestro Dean Anderson and Symphony Irvine for a concert of opera favorites on Sunday, May 15, 2016 at 2 pm at the Irvine Civic Center. 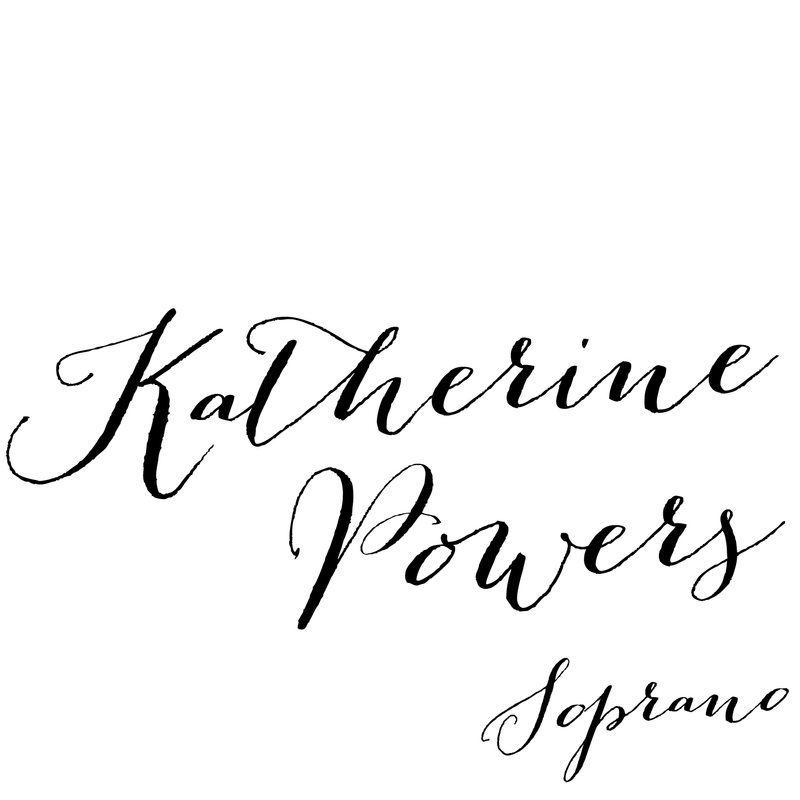 Katherine will perform beloved arias by Puccini and Gounod. Please visit www.symphonyirvine.org for more information and to purchase tickets.